Have a productive stay in Hampton, Virginia in our spacious King Room. The room’s bright windows offer beautiful views of downtown Hampton and an excellent location by the marina. 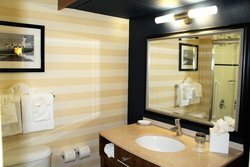 It’s easy to feel at home during your stay with every convenience at your fingertips, including complimentary Wi-Fi, an executive work station, and a coffee maker. Kick back and relax on the loveseat with a movie on the 32” flat-screen TV with HBO. 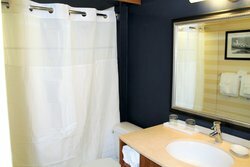 This room comes with a modern bathroom, complete with a fully tiled shower. 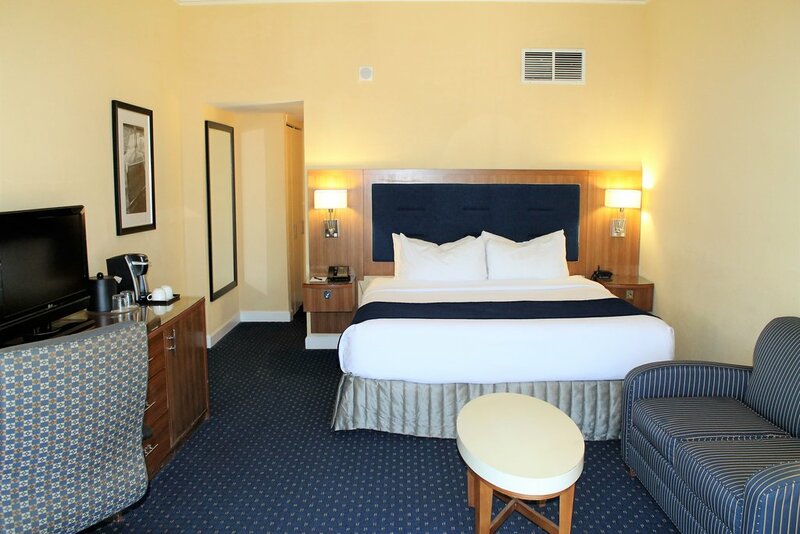 Book your stay today in our charming King Room, complete with all the modern comforts of home.